This charming hill country in southern Burgundy is one of the largest wine-producing regions in France. Grapevines cover around 25 percent of the land, or just under 17,500 acres. The region borders the Massif Central to the west and the river Saône to the east. Between these two landmarks lie ancient wine villages where time seems to stand still. The ruins in the monastic city of Cluny are a witness to the region's importance to the entire Christian West. Before the construction of St. Peters in Rome, this was the site of the largest church in Europe. 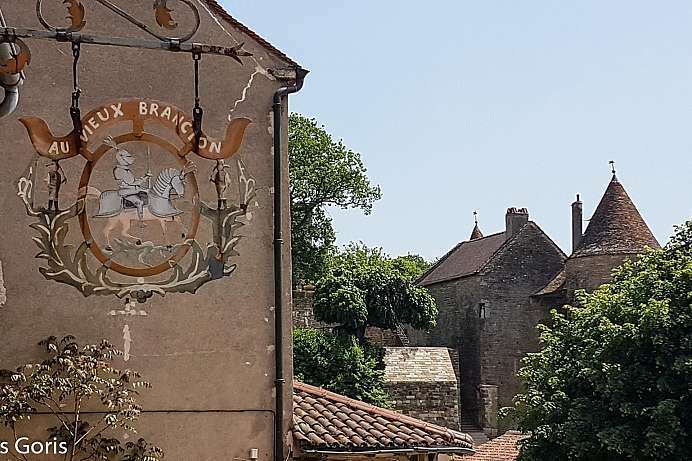 The trail starts at the Chateau de Nobles, a private country castle from the 16th century and takes you through an idyllic Burgundian landscape up to the historic village of Vieux Brancion, where you can take a break at a sandwich shop. From above you have a wide view of the gentle picture book landscape (there and back: 2:15 hours, 8.2 kilometres, up and down: 160 metres). 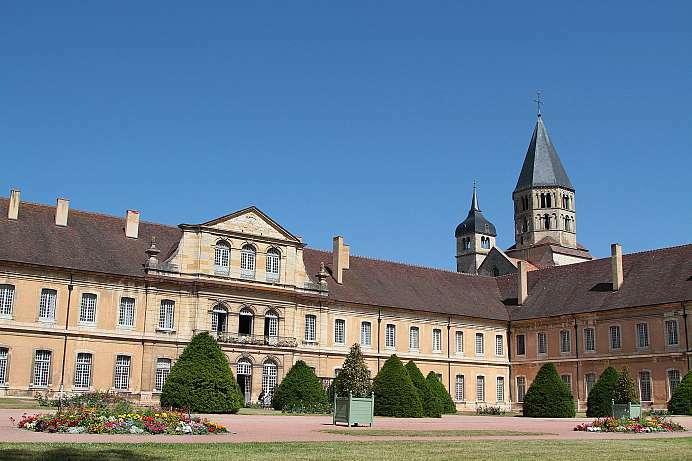 During the Middle Ages, Cluny Abbey was the most influential monastery in the West. It owed this status to its first six abbots, who were advisers and friends of emperors, popes and princes. They were the intellectual stars of their day and turned Cluny into the center of a radical monastic reform. The reform was based on a strict interpretation of the Benedictine Rule, involving poverty, chastity and obedience. The liturgy was dominated by the concept of “momento mori” (remember that you are mortal). Practical living emphasized caring for the poor. The abbey came under the control of the French kings starting in the 13th century and the abbey began its spiritual and intellectual decline when the monks lost their right to choose their own abbot. The abbey's enormous church was demolished during Napoleon's reign and used as a quarry for the construction of a horse farm. Unfortunately, the remaining buildings are not very impressive and now serve as an engineering school. The history of this ecumenical monastic order began in 1940 when Roger Schütz, a Reformed theologian from Geneva, bought a house in Taizé for helping war refugees on their way to Marseille. He fled from the gestapo in 1942, but returned with the first monks after the being freed in 1944. 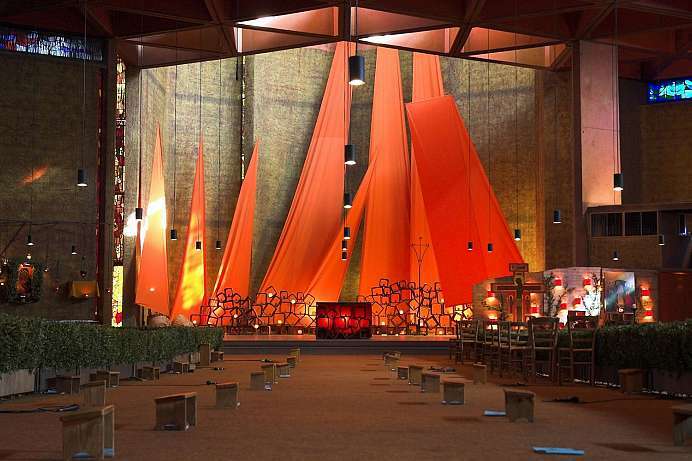 The modern Church of Reconciliation was built in the early 1960s by German youths from the Action Reconciliation movement. Students from Paris, Frankfurt and Berlin were soon coming to discuss justice and spirituality with the monks. Today, thousands of young people meet here every week to partake in the simple lifestyle of the community. The church services are very impressive with their dim candlelight and simple polyphonic singing, which combines modern and Gregorian elements. They are held every day at 8:15 am and 8:30 pm and are open to the public. 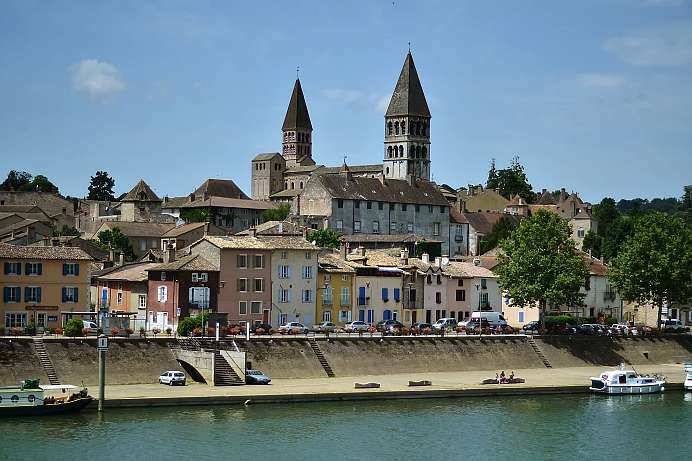 The town of Tournus is situated on the right bank of the Saône surrounded by the idyllic wine-growing region of southern Burgundy. Its cathedral, St. Philibert, is among the most significant Romanesque buildings in France. It houses relics of Saint Philibert that were brought here for safekeeping during the Norman invasions. To the southwest of the town lies the charming Mâconnais hill country with its ancient wine villages, palaces, castle ruins and Romanesque churches. The region's mystical and peaceful atmosphere seems to have especially appealed to the monastic orders drawn to the area.